A social drama directed by Nitin Bose, President revolves around the story of Prabhavathi (played by Kamlesh Kumari) who is the president of the Prabhavathi Cotton Mills Ltd. The relationship between the mill owners and it workers forms the story line. K.L. 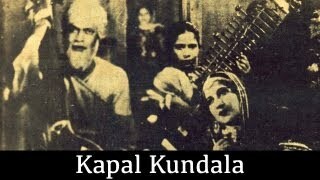 Saigal who played another lead role in the film has contributed some of his best renditions like ‘Ek Bangla Baney Nyaaraa’ ‘Ek Raja Ka Beta Lekar Udne Waalaa Ghoda’ and ‘Naa Koi Prem Ka Rog Lagaaye.’ Music was by R.C Boral. The movie which was released in 1937 was produced by New Theatres.